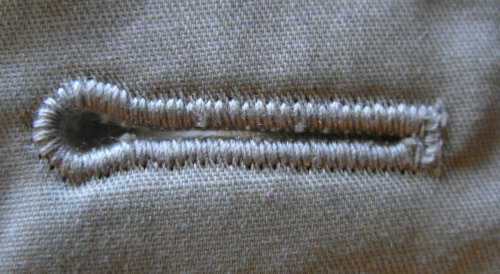 The buttonhole is a major feature of clothing and yet is neglected by the big manufacturers. A well made buttonhole adds that touch of quality. Jenniffer Taylor will teach you several types of buttonhole using sewing machines. You will take home several samples to aid you in your own construction of buttonholes and clothing.